With 1,146-acres sitting atop the ridges and valleys of the northwest Bronx, Van Cortlandt Park — is New York City’s third largest park. From the quiet green shade of its oak forests to the crisp white mantle of cricket players atop the Parade Ground, the park boasts a past rich in culture, well-versed in history, and blessed with the intrinsic beauty of the preserved nature. Playing fields and playgrounds are scattered about the park’s edges, surrounding a richly forested heartland fed by Tibbets Brook. 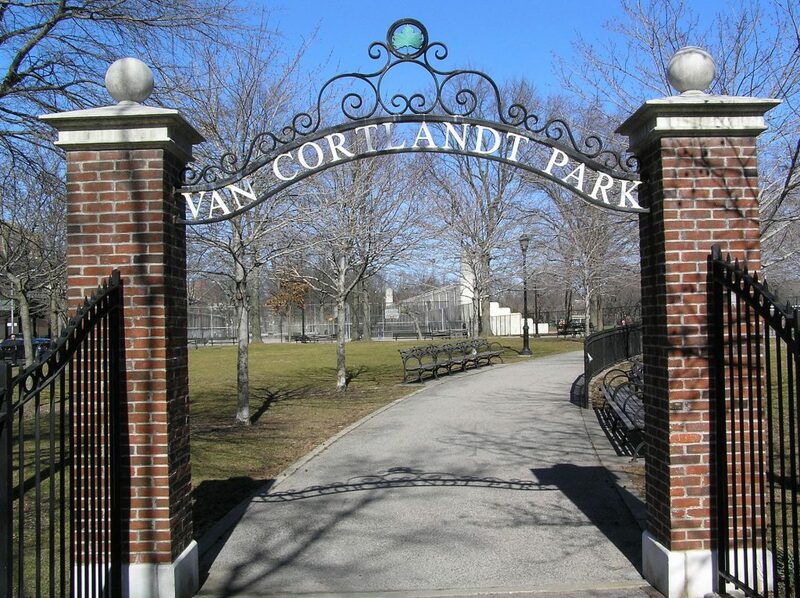 The park is home to the country’s first public golf course, the oldest house in the Bronx, the borough’s largest freshwater lake and last but not least… The Friends of Van Cortlandt Park Compost Site and Garden. Each year the Friends’ Garden & Compost Site is home to dozens of vegetables, herbs and flowers, hundreds of school children exploring the compost bins and vegetables beds, and all the volunteers and interns who come out and make it all possible. The 2,700 square foot garden is home to a pollinator garden, 7 compost bins and over 700 square feet of vegetable beds. Every year volunteer days to prep the site, plant that years crops and a final harvest day are open to the public along with weekly work days and community organics collection during the summer, internships, and garden crews for students. They host volunteer days where people can get community service; education programs for local school children to learn about composting, growing vegetables as well as a plethora of other community and education focused programs. Inside the garden they grow well over two dozen different varieties of herbs and vegetables. They hire high school students to come as spring interns who decide what they want to grow, resulting in a diverse range of fruits and vegetables. One of the main things that they are trying to achieve is to connect the kids to nature while showing them where their food comes from and why that’s important to know. Stay tuned for more about Friends’ Garden & Compost Site and our partnership with them in part two, coming soon! Support their efforts today by purchasing any Small Axe Peppers products.